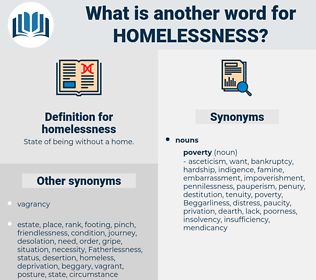 What is another word for homelessness? 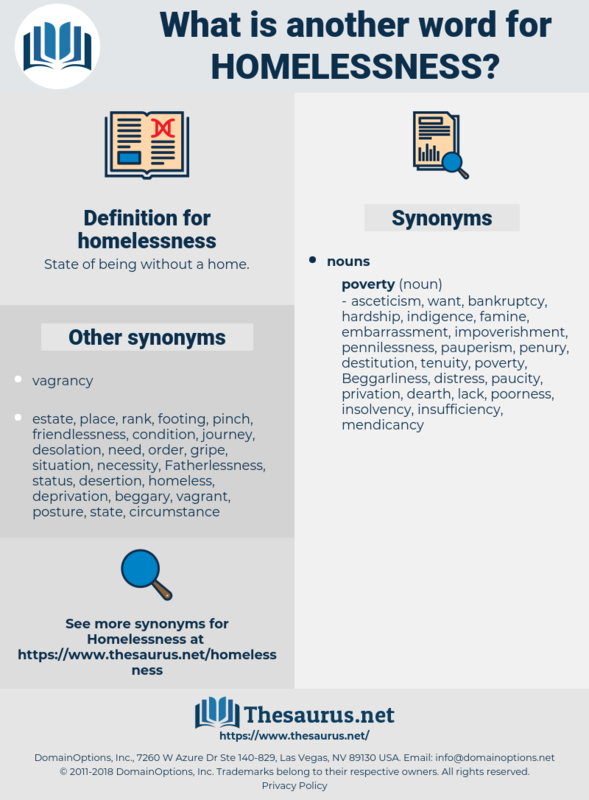 State of being without a home. I haven't any home - not really, she added as though she found her homelessness the happiest of conditions. It would not be very much worse than homelessness and hunger to go with a good kitchen garden of which you could always eat most of the beans and turnips; or to go with a good cornfield of which you could take a considerable proportion of the corn.